Charleston National Golf Club is a uniquely beautiful Rees Jones design just north of the city of Charleston in suburban Mt. Pleasant. The course is carved along the intracoastal waterway, through natural wetlands and lagoons and through a pine and oak tree forest. The result is a championship caliber golf course with some of the best views on the southeastern coast. Charleston National was originally designed to be an exclusive private country club in the manner of Augusta National. Designer Rees Jones was brought in to build the finest golf course on the coast. Today Charleston National is a reasonably priced semi-private golf course which has been rated the #1 non-resort golf course in the Charleston area by Golf Magazine. Unabashedly beautiful, Charleston National is a golf facility of high standards and impeccable taste. This 18-hole championship golf course is the only Rees Jones design in the Charleston area open to the public. Compliment our course with a friendly and knowledgeable staff, superb playing conditions year-round, and it is not surprising that Rees Jones calls Charleston National "one of the elite venues in golf." Charleston National, par 72, stretches just over 7,100 yards from the tips. There are five sets of tee markers to accommodate all playing levels and the true rolling greens will give all golfers a fun challenge. Wooden bridges are strategically placed to carry golfers over the natural areas from tee box to green. 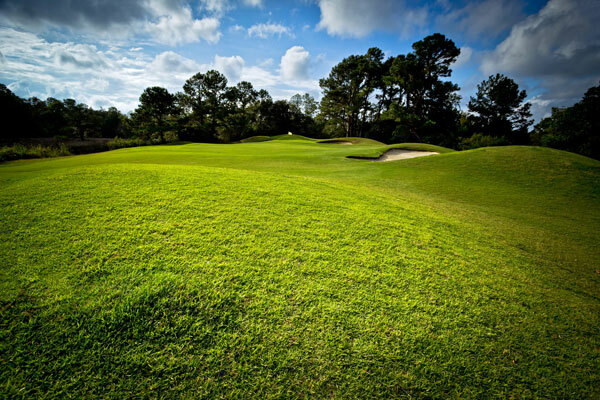 The finishing holes, set along untold acres of golden marshland, are among the most distinctive in the region. To make your visit with us special, we set the course up daily. You will also enjoy our all grass practice facility, its putting green and short range area, all available within a short distance of the first tee. We hope you will put Charleston National on your list to play soon. We welcome the opportunity to serve you.